Falkirk went down 2-1 at Tannadice, but Images Editor Michael Gillen captured the moments that mattered in the Bairns latest SPFL Championship encounter. After falling behind to a Sam Stanton deflected goal, the Bairns went further behind before Paul Paton was sent off and Aaron Muirhead converted a late penalty on Ray McKinnon’s return to Tannadice. 92mins - Aaron Muirhead converted from the spot but it was too little too late. Striker Lewis threw his jersey into the crowd at the end of the game. His last away match for the Bairns? 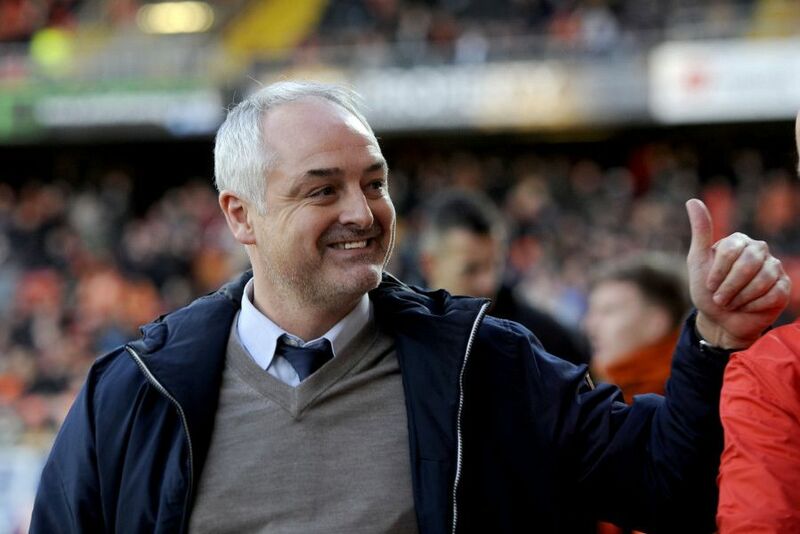 Ray McKinnon and Darren Taylor couldn't bear to look.